When it comes to ethnic Indian Wear, I do have my set of favorites. Jayanti Reddy is one of them. Her silk lehengas are simple, yet so girly elegant. Hers is also one of the most loved lehenga collections on my Instagram as well. 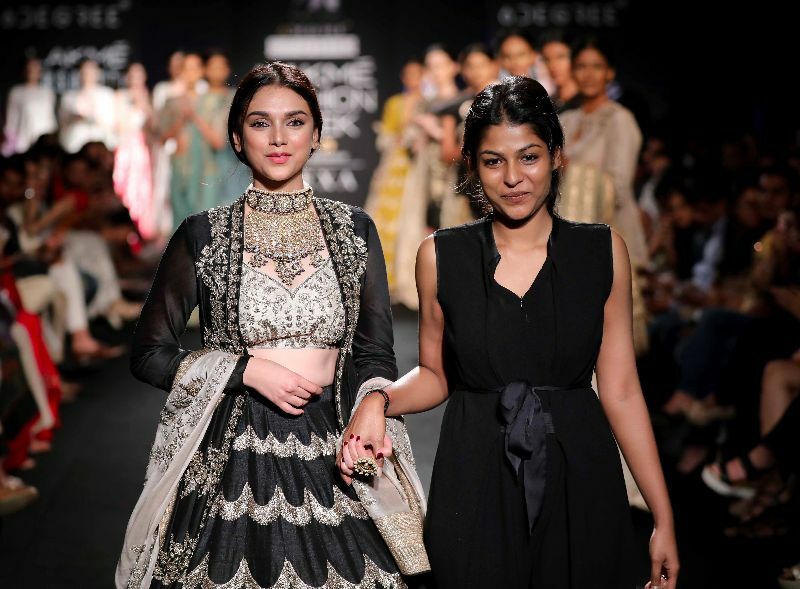 This time around, her latest collection had one of the best Black Lehenga I have ever seen. Black is slowly becoming a popular colour amongst brides and sister of the bride/grooms. The show-stopper look by Jayanti Reddy was just out of the world gorgeous. The designer has teamed up everything that is trending this season and put it up together in one outfit. Whether it is the long jacket, silk fabric, and the gorgeous color, it is perfection. The rest of Jayanti Reddy collection also had some gem of pieces with beautiful silk lehengas in different bright pop colors.